I had a FRANTIC emergency call last night after a wonderful Husky called Niki was Hit By A Car. Do you know WHAT to do FIRST? Can you tell if your pet is in SHOCK? Do you know what to do to TREAT this at Home? I went through many of the above questions with Niki’s guardian. I directed her to look at Niki’s gums. Her gums were pale, and her breathing was a bit faster. Her abdomen was a bit distended. It appeared that she was bleeding internally, and suffering from SHOCK. I quickly had her guardian do a few select things, then rush her to my clinic. KEEP HER WARM. Hot water bottles filled with warm water can be placed around your pet especially against the stomach. Do not use boiling water. Wrap the bottles up in towels to prevent burns. Wrap your pet loosely in a blanket or a jacket. The disrupted circulation can cause hypothermia making the shock even worse. SOME SWEETENING. Pets with signs of shock often have low blood sugar. In these cases, raising the blood sugar level is helpful. Rub honey or corn syrup on your pet’s gums. ELEVATE. Elevate your pet’s chest and hindquarters above the head by placing folded towels or a pillow under the pet’s chest and body. This is to prevent fluids from entering the chest and to increase the blood flow to the brain. COMFORTABLE CAR RIDE. If you pet is conscious, allow it to make itself comfortable. For cats and smaller dogs encourage them to sit in a box or basket as it will make it easier to transport them. NO FOOD OR WATER PLEASE. Do not give any food or water. Your pet may need anesthesia and surgery. HOMEOPATHIC SHOCK REMEDY. 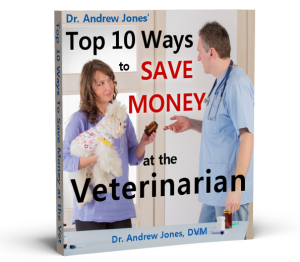 An effective pain remedy that is safe for dogs and cats is Arnica. The dose is 2 30C tablets twice daily. Bach’s Rescue Remedy is also a good anti-anxiety treatment you may use to make your pet more comfortable as you transport them (give yourself some too, it is good for your anxieties as well). P.S. BEFORE you take Action, you’ve go to know WHAT to do. That means you’ve got to know how to assess what is wrong with your pet. I have covered this in EXTENSIVE DETAIL in my DVD on the At Home Pet Health Exam. You get this as part of my Home Study Course. To see WHAT to do and KNOW how to TAKE the RIGHT ACTION. P.P.S. Niki is now stabilized and doing MUCH better. She should be going home today.